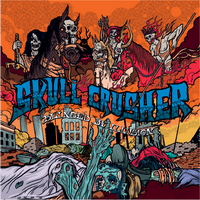 Reflections will be releasing Skull Crusher's debut 12”/MCD “Blinded By Illusion” in May 2010. Check out their website for the complete biography and band's Myspace for two songs... and get blown away. This will be a 12”/MCD, both limited to 500 copies!